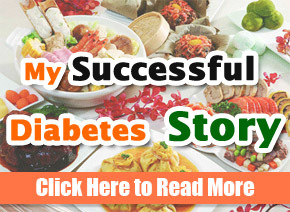 People with diabetes have to be very selective on the kind of meals they eat. There has been a heated debate on whether the diabetic should include peanuts or not. Continue reading for more information on whether you should include peanut to your day to day meal or not. Is it safe to eat nuts as a diabetic? According to the findings of a study published in a journal Nutrients, Eating nuts is considered healthy. 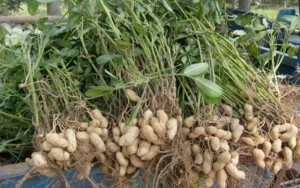 Peanuts are very rich in nutrients. Some of these nutrients are healthy fats, minerals, fiber antioxidants, and proteins. Typically, nuts are very rich in calories and fats but researchers have linked nuts to helping reduction in weight loss. In fact, nuts are more than just a snack but ensure that you first consult with your doctor before adding nuts to your meal plan. Eating nuts help reduce high blood pressure, reduce the level of bad cholesterol and inflammation. The glycemic index is a tool rated from 1-100 and is used to show how a certain food substance increases the blood sugar levels. Food substances with a low glycemic index will have a steady increase in the blood sugar levels whereas food substances with a glycemic index above 70 will lead to a drastic rise in the blood glucose levels. People with diabetes monitor the glycemic index of a food substance so as to know when to take an insulin injection. If a food substance has a glycemic index of 0 this means that it won’t have any effect on the blood glucose. Pure glucose is rated at 100. Foods with a glycemic index of 10 or less indicate that the particular food will only have an influence on the blood sugar levels after it is completely digested. Peanuts have a glycemic index of 13 according to Harvard medical school. This number is very low and a clear indication that peanuts don’t cause a spike in the blood sugar levels. Generally, peanuts have a glycemic load of 1. This means that after being completely digested it won’t have a spike in the blood sugar levels. As a result, peanuts make a good snack for people with diabetes. Just a handful of nuts equivalent to one ounce contains the same amount of proteins as that found in meat or chicken, 160 calories, 2 grams of fiber and only 5 grams of carbohydrates. Typically the fact that peanuts have a glycemic index of 13 and a glycemic load of 1 this means that even after consuming peanuts there won’t be a drastic rise in the blood sugar levels. Peanuts also contain healthy unsaturated fats, vitamin E, folate, phosphorus, manganese, magnesium, and copper. Peanuts are also rich in phytochemicals which play a major role in reducing the risk of contracting heart diseases. 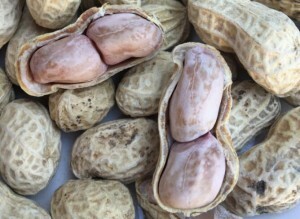 Did you know that peanuts are not actually nuts? On the contrary, peanuts are legumes and only have properties similar to nuts. So as to be edible peanuts have to be roasted and cannot be eaten raw. 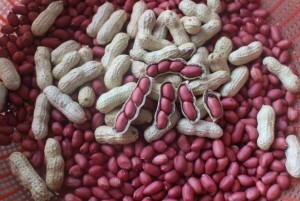 According to the findings published in the journal Food and Nutrition, Sciences peanuts are very nutritious. Peanuts have vitamin B and C. unsaturated fats, proteins, magnesium and phosphorous. Since peanuts have a low glycemic index this means that they won’t have a drastic rise in the blood sugar levels and as a result healthy to the diabetic if eaten in moderation. Compared to other nuts, peanuts are very rich in omega-6 fatty acids. To some people, this can be an issue since omega-6 oils can cause inflammation. 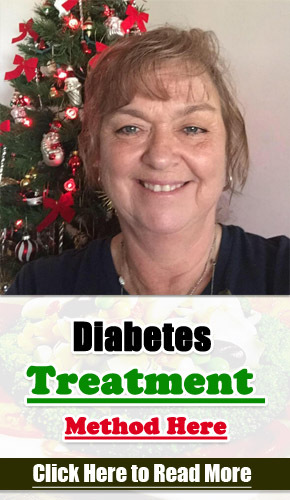 A condition that causes the symptoms of diabetes gets worse. So as to reduce and avoid inflammation you should balance the consumption of omega-6 fats with omega-3 fats. If you are going to consume peanuts regularly also ensure that you eat foods that contain omega-3 fats. Avoid peanuts from stores that have been loaded with sodium and other flavors. Instead, you can buy raw peanuts and roast them yourself. According to the findings of a study published in the Nutrition Journal, people with diabetes who had peanuts as part of their meal plan had more nutrients and better chances to manage weight and bad fats in the body. Given these facts, peanuts make a healthier snack compared to other store-bought groceries. As stated earlier peanuts have more omega-6 fats compared to other nuts. To most people with diabetes, consuming much of omega-6 fats causes inflammation which leads to severe diabetes symptoms. To avoid this balance the intake of omega-6 fats with omega-3 fats. Peanut products bought from stores contain added sugar and salt and as a diabetic, this isn’t healthy. As a healthy option, go for peanut butter that is purely natural with no added flavors. It is so unfortunate that some people are allergic to peanuts. Despite the fact that peanuts are low in carbohydrates when it comes to calories a half a cup of peanuts contains more than 400 calories. For this reason, should be eaten in moderation. You can substitute a certain meal with peanuts so as to avoid exceeding the set limit. It is healthy and advisable that you consume peanuts in their pure form with no added sugars or salts. Seeds- as an alternative for peanuts think of seeds, for instance, sunflower seed butter that contains twice as much magnesium as that contained in peanut butter. Alternative nuts- other nuts with similar profile nutrients include walnuts and almonds. In the United States alone, over 16 million people have type 2 diabetes. People with diabetes are at the risk of contracting cardiovascular diseases, renal failure, and even blindness. Numerous studies have shown that consuming peanuts is healthy for a diabetic and that it should be included as part of the diet. However, don’t eat large chunks, everything should be done in moderation.